The Universal C-Clamp is made of aluminum, plastic and metal. It provides twelve 1/4"-20 thread holes and one 3/8"-16 thread hole. 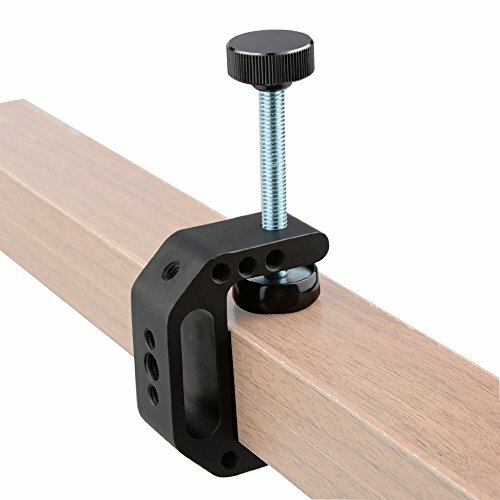 Attaches easily to desks, carts, benches, worktables, posts, etc. C-clamp jaws expand from 3mm to 42mm wide. If you have any questions about this product by CAMVATE, contact us by completing and submitting the form below. If you are looking for a specif part number, please include it with your message.